Ideal replacement for AK225-based liquid cleaners, which were eliminated at the beginning of 2015 due to ozone depletion restrictions. Precision V VC-1500 provides azeotropic properties that allow it to safely and efficiently cycle in a vapor degreaser. 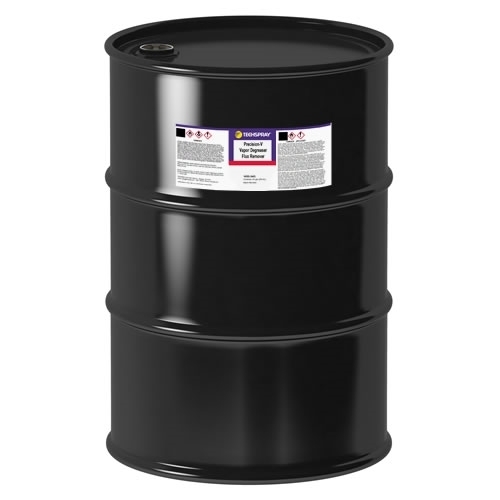 It is not reactive nor corrosive to metals commonly found in the construction of vapor degreasers. 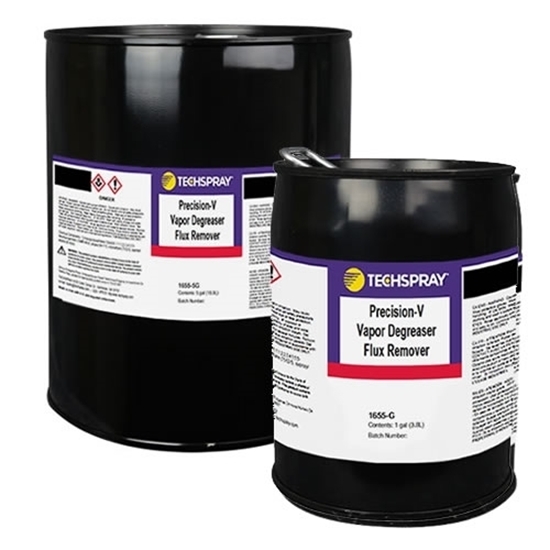 Exposure to Precision-V solvents is less hazardous than other solvents commonly used in vapor degreasers: e.g. TCE, nPB, and Perc. 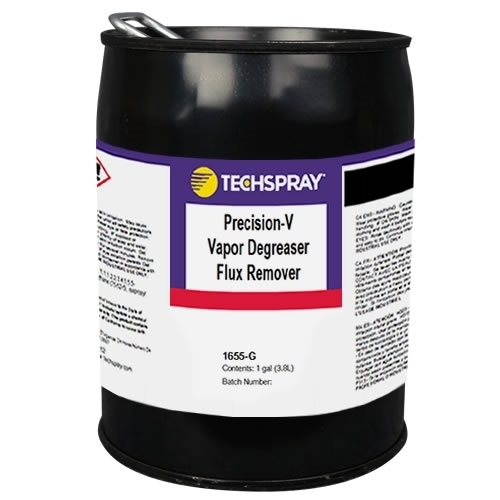 Precision V VC-1500 Flux Remover has a lower boiling point than other vapor-degreaser solvents, reducing heat-stress on components being cleaned and reducing energy consumption from the boil sump and chiller coils. 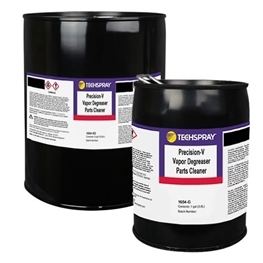 Precision-V Flux Remover cleans R, RA, RMA and SA type flux residues after high temperature reflow, wave and hand-soldering. It is ideal for lead and lead-free processes. NOTE: As with all vapor degreaser equipment and processes, observe all safety precautions, guidelines and operating rules associated with these units. Failure to do so may put operations personnel at risk. Avoid excessive vapor losses, loss of refrigeration, excessive boil sump heat, etc. Make sure all equipment is operated in accordance with the manufacturer’s guidelines and instructions. If in doubt, contact your manufacturer immediately.